A keystone species, by definition, has the power to largely effect entire ecosystems simply by performing natural behaviors for survival. Impressive? We’d say so. Many ecologists consider apex predators such as sharks, killer whales, and wolves to be keystone organisms, since they maintain balance of biodiversity and resource (e.g. food) availability. From the top to the bottom of the food chain, there are many species of both flora and fauna that are crucial to the existence of their ecosystems as we know them. So, maybe ecosystems would collapse if keystone species go extinct, but how would this happen and why should we care? The planet is currently experiencing a mass extinction of life – one out of six mass extinctions that have occurred throughout Earth’s history (based on scientific estimations). Since the number of species on Earth is an ambiguous approximation, it is challenging to accurately quantify how many species are becoming extinct. However, according to the World Wildlife Fund, scientists believe between 10,000 and 100,000 species cease to exist every year due to habitat loss, resource depletion, climate change, and other factors. How could this be? Wouldn’t we hear about these organisms on the news? Perhaps the projected tens or hundreds of species going extinct each day are not the cute or beautiful creatures we are taught to care about. In fact, you may not be aware of many species that are actually very important to our own existence! If we lose keystone species, extinction rates will dramatically increase. We cannot afford to be losing more species! Take a look at some species we should be concerned about. Bees aren’t called busy for nothing! These important agricultural workers are primary species that fertilize many edible plants, not only for us humans, but for many other animals as well. Bees are responsible for pollinating approximately 250,000 plant species. Imagine what would happen to herbivores dependent on these plants if bees vanished! Read Green Monster Jessica Tucker’s article to read more on how bees benefit other living things. Let’s protect the bees! Native to the southeastern United States, these animals are phenomenal at digging holes. You might be thinking, “Who cares? !” Actually, hundreds of species do! Animals such as raccoons, rattlesnakes, gopher frogs, burrowing owls, the Florida mouse, endangered indigo snakes, and over 350 other species are provided shelter from sharing these burrows created by tortoises. Gopher tortoises are quite the hospitable hosts, don’t you think? Without gopher tortoises, many of these species would not be able to survive due to their dependence on burrows for shelter. Sadly, habitat destruction has led the gopher tortoise to be a threatened species. Fortunately, the Florida Fish and Wildlife has a gopher tortoise management plan to help protect this vital species. If you’ve ever seen pictures of or visited a coral reef ecosystem, it’s obvious that if corals ceased to exist, the intricate ecosystems and the organisms that live within them would also cease to exist. Ivory tree coral is an exceptionally significant coral species to their main ecosystem located off the coast of east-central Florida. They can grow in both shallow and deep waters. Research has found evidence of the relationship between the abundance of individual fish species and the wellbeing of ivory tree corals. Therefore, they are not only a keystone species, but also an indicator species for the health of their environment. According to the National Oceanic and Atmospheric Administration (NOAA), there are existing conservation programs to protect these corals. Check out this article for more ways about how you can help ocean ecosystems too! Most of us would agree that sea otters are adorable … AND they also happen to be a keystone species! Otters chow on invertebrates and sea urchins – sea urchins that would devour kelp forests if their populations were not controlled. Kelp forest ecosystems support hundreds of species from sea stars to sharks. Sea otters could also be helping to fight climate change by restoring aquatic carbon-fighting plants. Gee, thanks otters! Let’s return the favor by helping them survive. These little guys might look creepy, but they provide vital services for mangrove forests. Mangroves provide hiding places for many species, and serve as nurseries for many juvenile coral reef fish and other organisms. Like gopher tortoises, some species of crabs have awesome burrowing skills. The holes they create provide habitat to many tiny organisms including fish, mollusks, and worms. When juvenile crabs burry themselves beneath the soil, they improve groundwater penetration and therefore, excess salt is flushed out and the soil’s salinity is balanced. These ecosystem engineers also help to aerate the soil. Adults are responsible for janitorial roles by eating large amount of mangrove litter or detritus. Due to their recycling of nutrients, these crabs improve the growth of mangroves and increase overall biodiversity within mangrove ecosystems. Who doesn’t love watching videos of playful prairie dogs? But let’s give them credit for more than simply being cute. These grassland rodents benefit hundreds of animal species by creating island habitats. 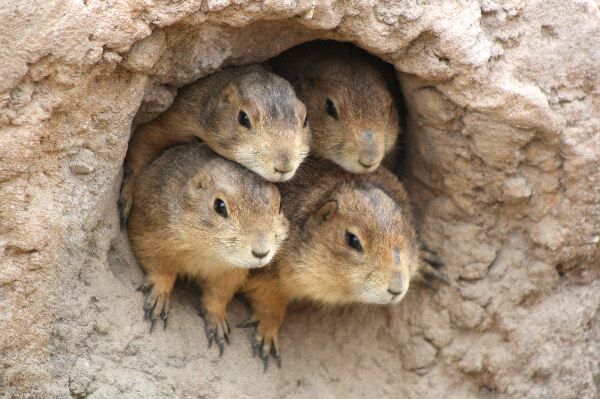 Prairie dogs aerate and fertilize soil through burrowing, allowing plant species to grow and thrive. These animals are also primary prey for many animals including the critically endangered black-footed ferret. Ah, now here’s an apex predator. Tiger sharks prey on basically anything they can get their jaws on, which means they control the populations of quite a variety of organisms. 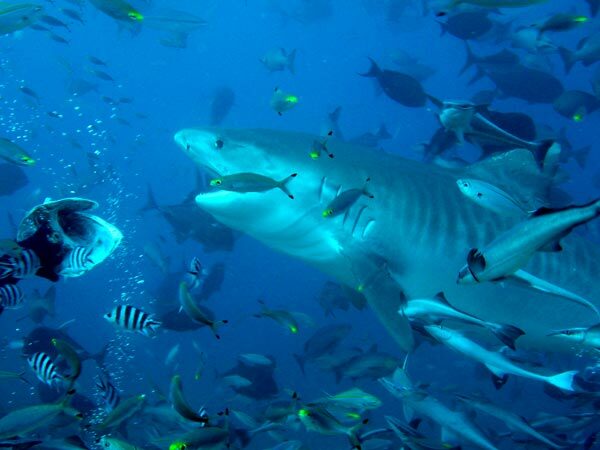 Fortunately, sharks will most often feed on the sickest and weakest of the marine population. Therefore, sharks improve the health of fish populations and prevent the spread of disease. Healthier fish are thus able to breed and produce more offspring. Tiger sharks also help maintain healthy sea grass beds by controlling populations of grazing animals. Sharks are friends, not fiends! What More Can You Learn? The power of ONE and how we all have the opportunity to make a difference! We’re all in this together … let’s stop mass extinction today! I remember back at school, in natural science class (you know, what comes before physics and biology), we learned about how wolves maintain the natural balance by eating the weak and sickly animals in the forest. T\’was an eye-openener!